My good old friend Christopher Wong (now living in Sydney) sent me these photos. I had to put it all up on the site immediately – because I finally found photos that document my formative teenage years. For me, those were the years that moulded my character and where I chose my friends, few of which would really be my best friends forever. The way we communicate is so different from someone else you meet in later years where you are often a little defensive and wary. Taken at Wilkie Terrace Christian Assembly. This is the ‘church’ where I grew up from 1980 – 2001 making up a very important part of my life. Edwin Yeo and Chris Wong were even earlier as their families were attending the church. Actually, my Dad used to attend the old Wilkie Church and when we met Mrs Tong one fine day – she brought me and Adrian there. Later my sister followed. The old Wilkie Church split into 2 churches. That’s one of the problems that never ends – Churches tend to split. Wilkie Terrace Christian Assembly a non-denominational Christian church with brethren roots and was rather strict. I am surprised that they even have Facebook & Instagram pages (Links above) today. It’s great that they have it because I thought we were a little bit too conservative and inward looking then. We only understood sermon’s by Dr Bobby Sng. The rest were a little difficult to understand! Friends from ACS and other schools came and left over the years. I got married in 1994 May at Wilkie Terrace. Thereafter Jerry and Daryl would also attend service in our arms. There were no megachurches yet at that time in Singapore. They haven’t become mega yet. Giving tithes at Wilkie was entirely free-will offering. No one would pass any bag around to ask for money. No one would tell you – we need to raise $3 million dollars to renovate the church. There was no extravagant spending nor any waste of money. No pressure on anyone. So I am never used to it now when I attend a church and they stick a bag in front of me for money. The bigger churches now even allow you to tithe electronically. Amazing. I am definitely not up for that form of giving. It’s pressure tactics like a tout trying to push me a product. 5 “Blessed are the gentle, for they shall inherit the earth. 10 “Blessed are those who have been persecuted for the sake of righteousness, for theirs is the kingdom of heaven. 11 “Blessed are you when people insult you and persecute you, and falsely say all kinds of evil against you because of Me. After my family returned from the U.K. in 2003, we somehow stopped attending. Most of us had also left for other churches by then – for some reason or other. 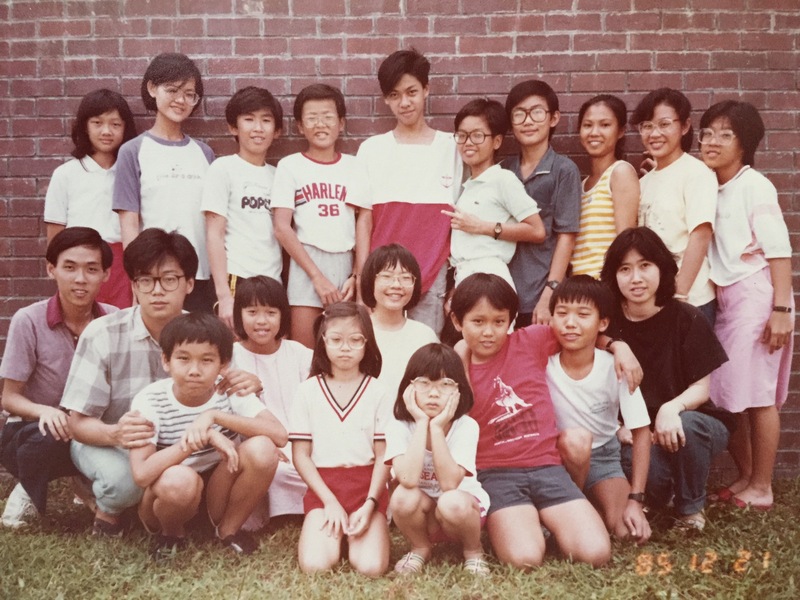 My family went to Kum Yan Methodist Church and sometimes to CCMC over at MGS. I was / am still never quite comfortable in another church where I didn’t grow up in. I dislike the friendly handshakes at the door and all the turning around wishing each other a good day. Because I knew, come Monday, back to work, the environment would be different again. ‘War’, ‘fighting’ & ‘arguing’ at work is usually the norm! Just a little too friendly for me. (this is probably my idiosyncratic self at fault). I suppose that explains my absence in church on Sundays! A group of us still gather every new year’s eve at my house – we have been doing it since approximately 1999 – 2000. These teenage bonds are hard to come by. Treasure them. In a sense, chose your friends and your company wisely. They are the one’s that will stick around for you when you are in trouble! I’m the only baldy in blue! Some of us have gone separate ways. Haven’t spoken or seen them for a while. Football on January 1st after thanksgiving. Look at Zhong’s upper body – his Lat Dorsi! But Kwok Mun is still the most buff. The rest of us just skinny. A collage of Sunday School classes. Never would any of us from ACS believe that one day Chan Mui Tuan would be the principal of ACJS (Junior). Yes. I did attend Sunday School Camps & activities! That’s life – pretty unpredictable at times.